Raratoga Hotel & Apartments in Playa Santa Teresa, Costa Rica can help you arrange also transportation to and from Santa Teresa Beach. If you have been finding difficult getting information on how to get to Playa Santa Teresa, please let us help you. Following are a few choices we can help you arrange and reserve. A local bus departs everyday from San Jose to Playa Santa Teresa at 6 am and 2 pm from ” La Terminal” in San Jose. The Bus ticket costs aprox $13 p/p. You can buy tickets online at www.laterminalcostarica.com and if you are arriving into San Jose airport with your flight and want to reach Playa Santa Teresa with the bus the same day you can also board it from a stop near the airport ( Parada the Villa Bonita). If you are taking this service please get down at Plaza Kahuna and walk 500 meters north until you get to Hotel Raratonga. We are right on the main street. Bus from Playa Santa Teresa to San Jose also runs everyday at 6 am and 2 pm. The trip from /to San Jose takes about 6 hours. Please contact us for any information on buses and for the most updated schedule. 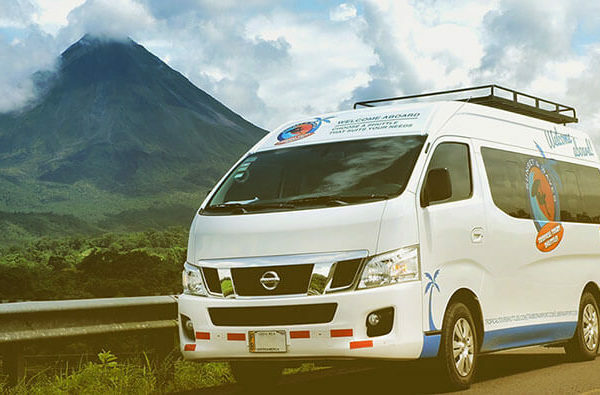 Shuttle service is a comfortable, budget and often preferred way to move around Costa Rica. It’s a door to door service with A/C available reserving directly with us from / to the following destinations: San Jose / Alajuela / International Airport Juan SantaMaria / La Fortuna / Monteverde / Samara / Nosara / Playa Tamarindo / Liberia / Nicaragua Border / Jaco / Manuel Antonio / Dominical. Prices start at $45 p/p. The trips from San Jose and Liberia take aprox 5 hours. Coming from San Jose you will board the Ferry boat departing from Puntarenas to Paquera.The crossing will show you amazing view of the Nicoya Gulf.Also Taxi boats are available from and to Jaco and a combination of Shuttle+Taxi boat is also possible from/to Manuel Antonio and Dominical. Prices start at $50 p/p. Domestic flights are a very fast way to move around Costa Rica. Our closest domestic airport is the one of Tambor, a small village at 45 minutes driving from Playa Santa Teresa. There are 2 airlines operating , Nature Air and Sansa. 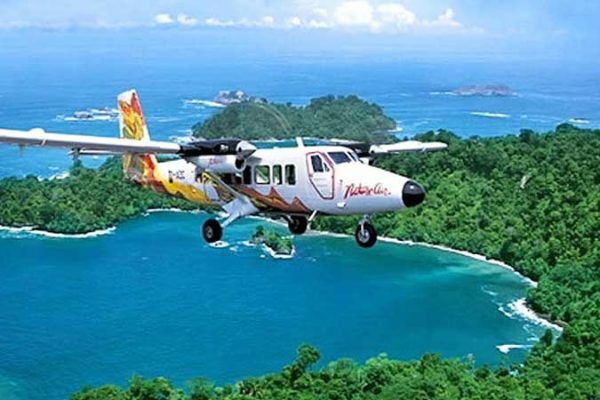 The trip from and to San Jose takes aprox 25 minutes and overflies the beautiful Nicoya Gulf offering you amazing views of the bays. 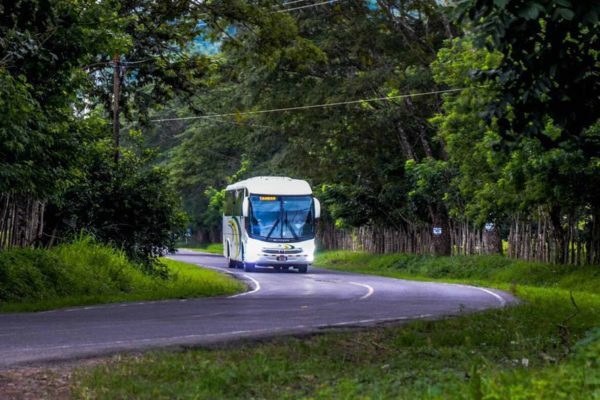 Tambor airport is only connected to San Jose and Liberia, but combination of flights can take you also to all the other main destinations of Costa Rica. If you are flying into Tambor strip, we can arrange for you a taxi to pick you up and take you to our door. It’s a 45 minutes ride through the beautiful country side of the Peninsula and costs aprox $50 for a max of 4 persons. Please check before since some fares already include a shuttle service to Santa Teresa. 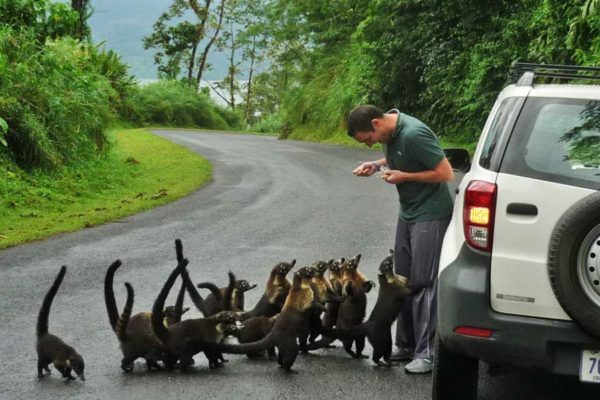 Driving in Costa Rica is a fun way of travel. Please consider that many roads are in bad conditions and most of them are dirty roads. So a 4WD is always recommended and journeys may be long depending on the routes you take.There are many car rentals to choose from, we can compare prices for you if you like and get the best price. If you are driving from San Jose please take route 27 , Autopista to Caldera. It will lead you all the way to Puntarenas and the ferry point. Once there cross with the ferry to Paquera, operated by Naviera Tambor. And once in Paquera follow the route to Cobano first and then Malpais and Santa Teresa. If you are driving form Liberia please take route 21 and drive it all the way until Paquera, then follow the signs to get to Cobano first and then Malpais and Santa Teresa.